Product prices and availability are accurate as of 2019-04-09 15:15:58 UTC and are subject to change. Any price and availability information displayed on http://www.amazon.com/ at the time of purchase will apply to the purchase of this product. 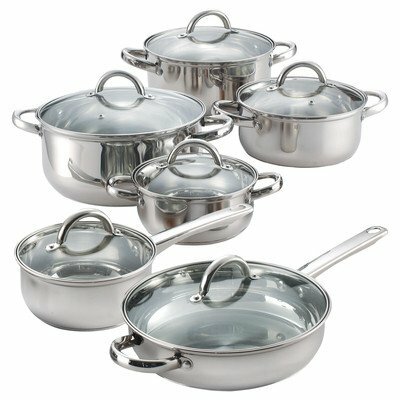 The Cook N Home 12-Piece Stainless Steel Cookware Set includes: 1.5 quart saucepan with lid, 1.5 quart casserole with lid, 2 quart casserole with lid, 3 quart casserole with lid, 5.5 quart dutch oven stockpot with lid, and a 10-inch saute fry pan with lid. Made of mirror polished 18/10 stainless steel with an aluminum disc bottom between steel layers. 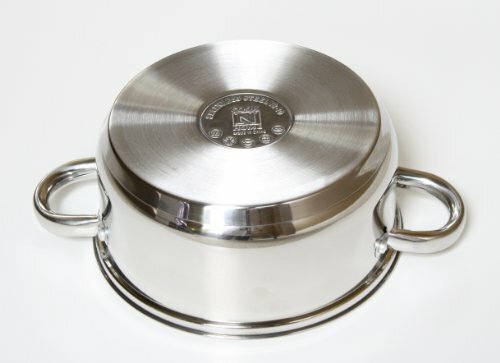 The aluminum disc capsuled bottom provides even/quick heat distribution and prevents hot spots. Reflective finish inside and out for appearance and easy cleaning. Stackable and flat base for storage and sits evenly on cooktops. Tempered glass lids with steam vent makes viewing food easy and provides an inside seal. 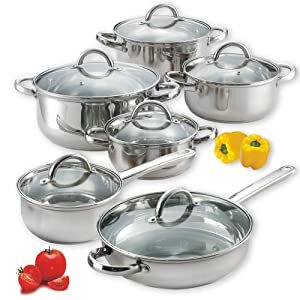 Riveted stainless steel handles are durable, comfortable, and wide/deep for grip. Handles stay cool and have a hole for hanging. 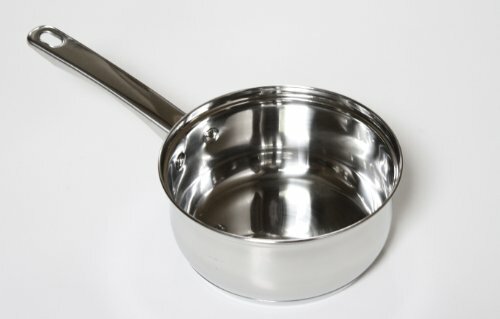 Multipurpose and holds temperature for boiling, frying, steaming, and more. Induction compatible. Works on: gas, electric, glass, ceramic, halogen, etc. Oven safe to 500F, glass lids to 350F. Dishwasher safe.